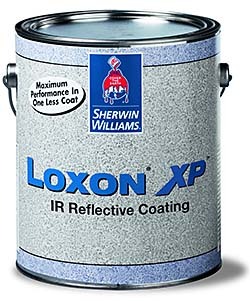 Loxon XP IR Reflective Coating is designed to lower heat gain. Product integrates concrete and masonry protection with pigments designed to reflect ultraviolet rays back into the atmosphere. Recommended for concrete and masonry buildings in consistently sunny, high-temperature regions. May be applied to surfaces with a pH of up to 13.